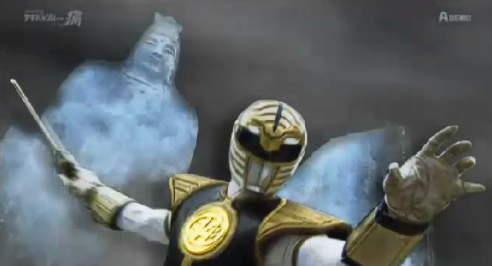 Akibaranger Season 2 episode 3 is entitled: Martial Arts Delusion "Mōsō-ken Geki" (妄想拳劇). Akibarangers confront Kiba Ranger, Malshina returns and Luna gets a quick tour at their base. Then the team kidnaps Chinaman in order to bring back Dairanger. In doing so, Akibarangers inherit Kiba and Ryuu Ranger's power, the Dairanbomber.